For The Top Rated Party Bus & Limo Service in Waterbury CT!! If you are going to rent a limo or party bus why not go to the best? Waterbury Limo Service has been CT's preferred choice for years. And we don't plan on stopping!! When you need limo service in Waterbury, Connecticut with no hassles there is only one company to call: Waterbury Limo Service!! Always Punctual - We make sure we show up on time and are never late. It doesn't matter what event! Easy Booking - Our reservation specialists help you to make the best decision for your event. No up selling with fake promotions. Just good customer service! Always Safe Always Fun - Our drivers know how to let you have all the fun you want while keeping it safe. Award Winning - Our limousine company has won many awards for all events, including weddings. 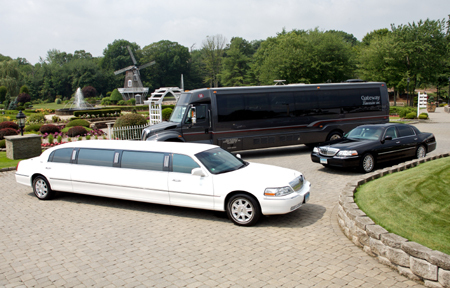 Large Fleet - We have many limousines and party buses in our fleet. We are constantly updating every year with new vehicles. All Events - No matter a wedding, birthday, airport run or whatever event you have coming up; we will be there to meet your transportation needs. VIP Service - Our drivers know how to give you the white glove/red carpet VIP treatment. Colors - Our limousines and party buses come in different colors, call today and find out what's new. Connecticut Company - We are from CT not out of state like many others. DOT Compliant - We are up to speed on all DOT rules and regs. Unless you are Richey Rich, who has thousands of dollars to shell out for transportation? We know that every penny you save on your limo or party bus, means a bigger smile on your face. Call us today and find out why Connecticut residents call us one of the most affordable limo companies in the state of CT.
Why is Waterbury Limo Service CT's Most Trusted Company? We understand that it's all about repeat business. If you treat a client right on his or her wedding, they will call you for a future event. Sometimes it's the little things that count. It could be offering to stop and get the bride a ginger ale to calm her nerves. Sometimes it just means doing your job and fulfilling everything that anyone would expect of you. We at Waterbury Limo Service CT look forward to hearing from you. Airports - Need Car service to the airport? We are always early to make sure you get to the terminal with plenty of time. Anniversaries - Is it that time of year again? Show up in style to your favorite restaurant or surprise your significant other with a night he or she will never forget. Bachelor/Bachelorette Parties - Is it your friends or family members last night as a free man or woman? We offer all sorts of ideas and packages that will suit all of your needs. Birthdays - Whether you are 21 or 65, we know how to keep it tame for some or insane for others. Casino Trips - Black Jack, craps or slots. CT residents love our casinos. Everyone has a favorite. One thing no one likes is the drive home afterwards. Let us handle that for you. Concerts - Parking can be a pain and who wants to deal with hassles or driving home afterwards. We are your ticket to a fun, relaxed time. Cruise Ship Transportation - Whether you have 2 or 20 people going to cruise the seas with you on vacation. Give us a call and show up there stress free. 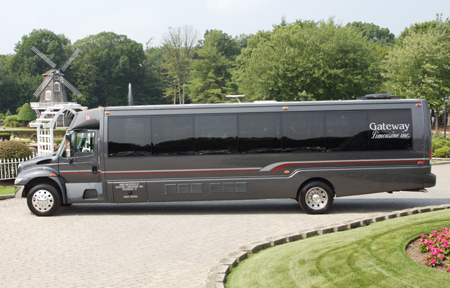 Graduations - Kids love our limousines and Party Buses. Parents love our safety first motto. Night on the Town - Just looking to hit the town and let your hair down? Sit back, relax and have a good time. Prom - Arrive like a king and queen with all of your friends. Check out our massive fleet today. Quinceaneras - It's once in her life and we know that. We will make sure we get it right. Weddings - The most important event of anyone's life. You get 1 shot at it, choose a company you can trust. Wine Tours - No one wants to risk driving afterwards. Give us a call and we will take care of everything for you.